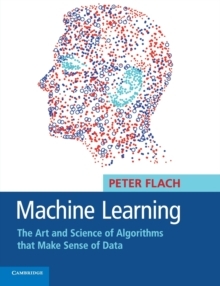 As one of the most comprehensive machine learning texts around, this book does justice to the field's incredible richness, but without losing sight of the unifying principles. Peter Flach's clear, example-based approach begins by discussing how a spam filter works, which gives an immediate introduction to machine learning in action, with a minimum of technical fuss. Flach provides case studies of increasing complexity and variety with well-chosen examples and illustrations throughout. He covers a wide range of logical, geometric and statistical models and state-of-the-art topics such as matrix factorisation and ROC analysis. Particular attention is paid to the central role played by features. The use of established terminology is balanced with the introduction of new and useful concepts, and summaries of relevant background material are provided with pointers for revision if necessary. These features ensure Machine Learning will set a new standard as an introductory textbook.